In this growing world of Information Technology and opportunities in this highly (volatile) industry, it is important for skilled professionals to meet the expectations of companies all around the world. Businesses growing with an exponential rate search for employees who can not only provide their knowledge and expertise in the concerned line of business but also come prepared to provide insights on the workings and functionalities of it. On the other hand, students and academicians who are preparing and formulating ways to step into the IT sector need to be fully aware of the environment they are going to get into and develop patterns so as to fit in them. It has often been a concerning point for the students to find themselves in a workplace for which they have not been briefed about, neither are they prepared to face it. InSync shares this concern and has joined hands with institutions all over the country to contribute in nurturing, educating and preparing aspirants for their upcoming professional life. 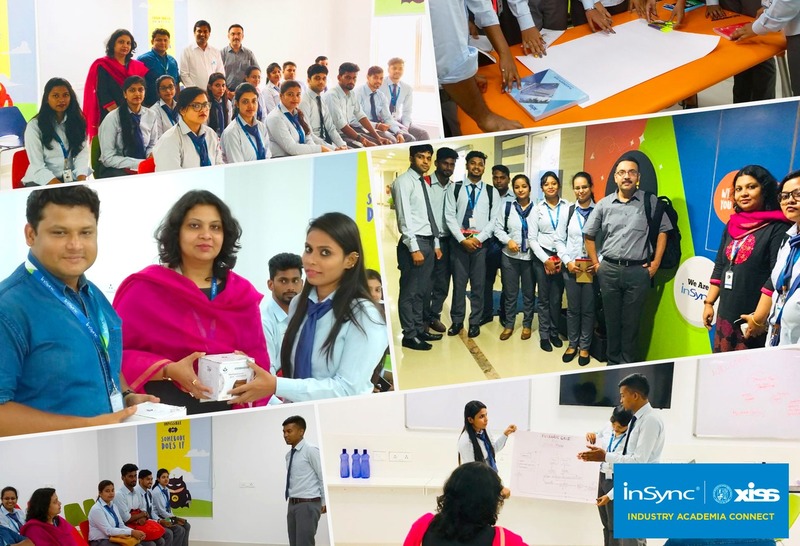 InSync recently hosted the students of the Xavier’s Institute of Social Services (XISS) in its office premises with the intent of bridging the gap between academic and professional (office) environment by imparting industrial training and knowledge. The students really loved this ” XISS Industry-Academia Connect “. Students who are going to be a part of the ever-growing IT industry in the next couple of years joined this event in order to gain insights on how to develop their skills so as to cater to the industry demands. InSync helped the aspirants realize and conduct themselves appropriately in the corporate environment. It is often a common problem for students to step into the industry and feel lost with the unexpected work pressure and the ambiance. InSync knows the value of skilled employees and with this association with XISS, it has provided the students a real-life experience of the corporate culture. This training revolves around one plan – Expectation setting for the future IT professionals.!! With InSync’s effort in bridging this gap, the students have gained a fair knowledge on how the corporate works and how they must groom themselves to become an asset for whichever company that hires them. 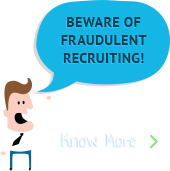 It is also important to understand the fact that with these instances of training and InSync’s continuous efforts, better quality of candidate base is being generated who have a clearer knowledge of the industry. In the future, when these students become a part of the corporate families, there would turn out to be the better breed of skilled employees in the corporate industry and the individuals would also assimilate well with the corporate life. It is the vision of InSync to create a strong IT ecosystem that is governed by the best minds in the industry, and train people in order to enrich the existing workforce. InSync hopes to continue the good work by leveraging opportunities and guiding individuals to achieve what they desire. In the end, what matters is how well we SYNC!